Wedding couple during their portrait session after their Westin Lake Las Vegas Resort Andalusian Gardens wedding ceremony. The bride is wearing a long veil and white flowers in her hair. 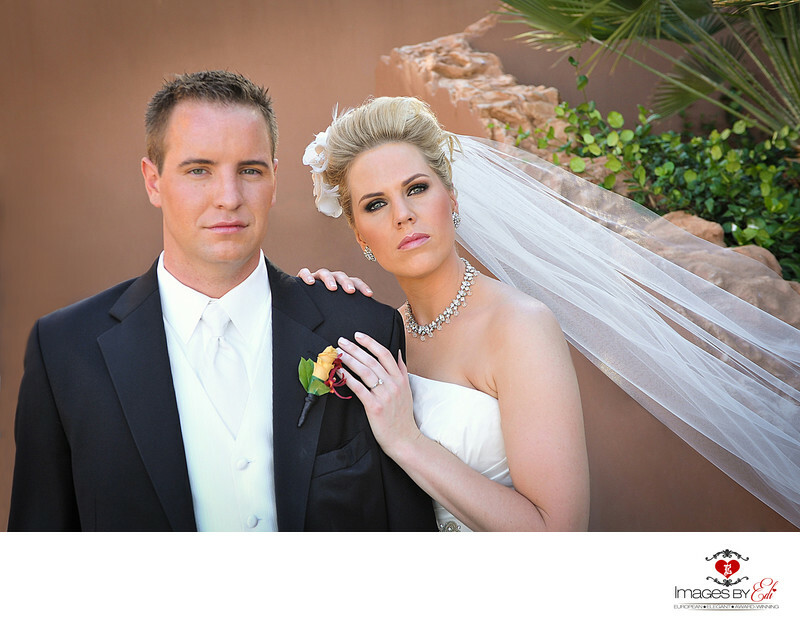 Keywords: Images by EDI (300), Las Vegas Wedding Photographer (624), Las Vegas Wedding Photography (642), Wedding Couple (204), Westin Lake Las Vegas Wedding Photographer (153), Westin Lake Las Vegas Wedding Photography (159).